A couple of Saturdays ago Gary and Sarah Gardiner of Dream Flight Adventures spent some time in MAKESHOP prototyping a new interactive, educational program. Gary has been developing this interactive software for quite some time and recently he was asked to implement it into a classroom in Shaler Area School District. The program is really fun to experience and I can see it being utilized in lots of ways in a classroom. Basically, the students will use iPads to control various parts of a space ship. There’s a pilot, a medic, a weapons expert, a biologist, an engineer, etc. The program runs missions (which are controlled and programmed by the teacher) and the students have to work together to solve the problem or reach a certain goal. Gary was great at explaining his reasons for creating this software to our visitors. He is very passionate about this project and will be returning to playtest the program a couple more times at the Museum. 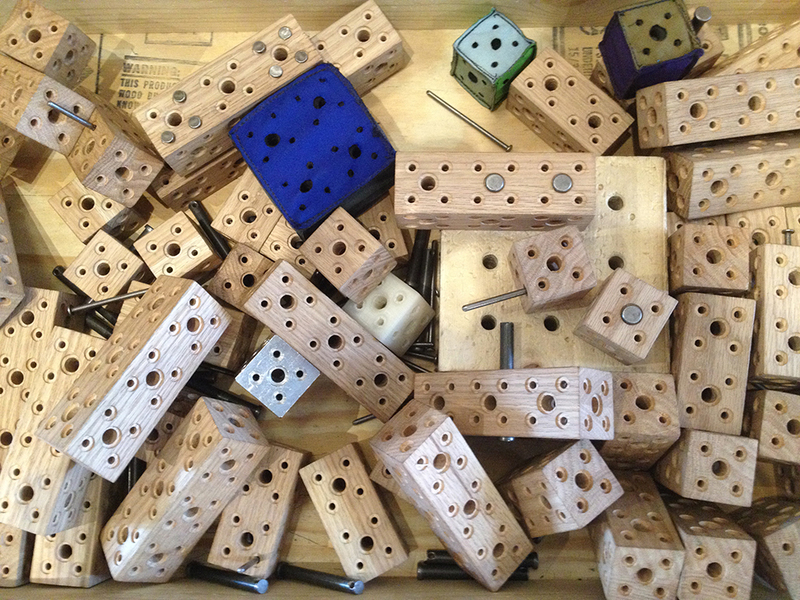 “Playtest” is a word we use a lot at the Museum, especially in MAKESHOP. Playtesting is when a person or group is creating something educational for children (usually something technology or computer based) and they want real, honest feedback from their target audience. MAKESHOP is a great place for people to playtest their games, apps, software, etc. because the space offers a wide variety of visitors. The space is also very flexible when it comes to moving tables around, setting up projectors, or creating different types of environments. I really enjoy playtesting because it gives visitors a glimpse into how something, like a computer game, is made. The creators do not simply predict what people are going to like or do, but test the product and make necessary changes and then test again and make more changes and so on and so on. It’s a part of the design process! 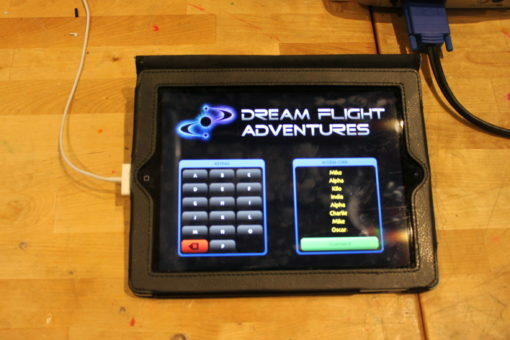 Dream Flight Adventures will be back on March 23 to playtest again. Check it out! If you or your company are interested in playtesting in MAKESHOP, please contact us to learn more about it!